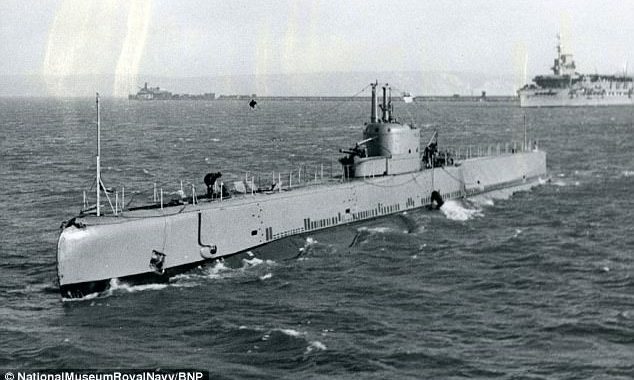 Wreck of HMS Narwhal containing the remains of 58 British seaman who were killed during WWII is accidentally found in the North Sea by Polish divers - Foundation "Odnalezc Orla"
he final resting place of 58 British seaman who were killed when their submarine sank in World War Two has been discovered in the North Sea by accident. The wreck of the HMS Narwhal was found 77 years after it disappeared by a group of Polish divers who were looking for one of their nation’s lost submarines in the area. A 3D radar scan showing the craft perfectly intact in 308ft (94 metres) of water has confirmed it to be the war-time submarine which was attacked by the Luftwaffe during the Battle of Britain in July 1940. The submarine left its base in Blyth, Northumberland, tasked with the job of laying mines off German-occupied Norway. But the Germans had cracked the Royal Navy’s secret codes and were aware of Narwhal’s potential route. It was intercepted by a Dornier bomber and attacked on July 23. Earlier this year members of Santi Diving, a Polish-based group of deep-sea explorers, were carrying out a search for ORP Orzel (Eagle) when they found the Narwhal. It was 140 miles (225km) off the east coast of Scotland and it’s latitude is in line with Edinburgh. The Orzel has been missing since escaping the German invasion of Poland in 1939. Polish divers have spent the last 10 years looking for it without success. Having made the potentially historic discovery the team are now looking to find the families of the 58 men whose remains are inside the wreck. Tomasz Stachura, one of the divers behind the expedition, said: ‘We are very interested in any contact with HMS Narwhal staff relatives as it would be good to hear their stories. ‘While we were searching for the ORP Eagle we found an unknown sub at a depth of around 308ft (94 metres) deep.